Editor’s note: This review was been updated in its entirety. If you’d like to read our original opinion of Sling TV, you’ll find that review preserved for the record here. 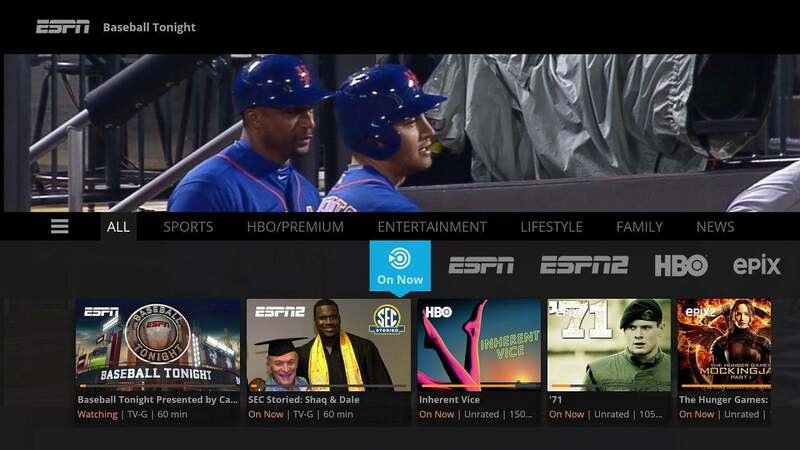 Sling TV is a much stronger streaming service than it was when it launched a couple years ago. The interface is dramatically better, the channel lineup is broader, and it now offers optional DVR service. Yet the best thing about Sling TV is what hasn’t changed: Its $20-per-month starting price is much lower than other streaming channel bundles, and its array of add-on channel packs make the service more customizable. Although Sling’s approach isn’t always cheaper than other services—and its claims of “a la carte TV” are bogus—it does feel less like an imitation of cable bundling, and more like a reboot. Dish Network, which operates Sling TV, still has more work to do. The interface could use more cleanup, and video quality is squarely behind some other streaming bundles. But with most of its previous downsides out of the picture, Sling TV is easy to recommend as a cheap cable alternative. Sling TV offers two base packages: The Sling Orange plan starts at $20 per month and lets you stream on one device at a time, while the Sling Blue plan starts at $25 per month and supports three streams at a time. By comparison, DirecTV Now, YouTube TV, and FuboTV start at $35 per month, while Hulu and PlayStation Vue start at $40 per month. That doesn’t mean Sling is always the cheapest option. Although Sling’s two packages have lots of channel overlap, they also have some key differences. 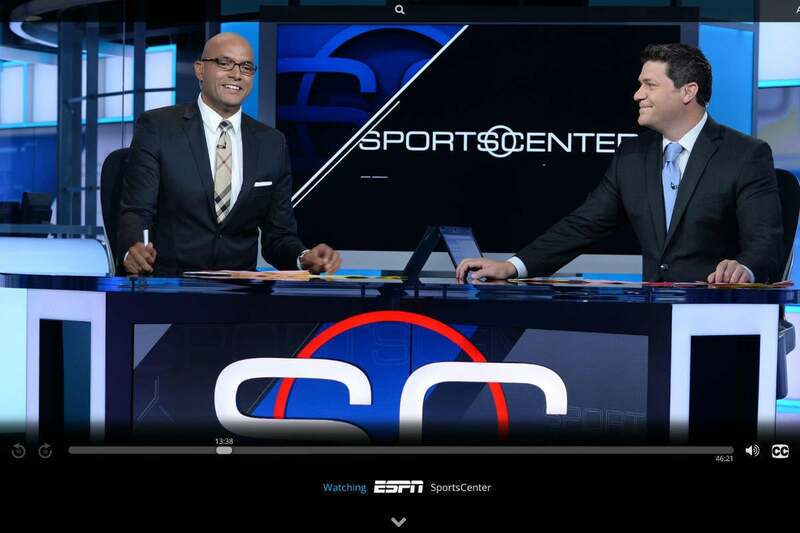 ESPN and other Disney-owned channels are only available with Sling Orange, for instance, and regional Fox Sports channels are only available with Sling Blue. If you want both, you’ll must subscribe to both base packages at a discounted rate of $40 per month. Once you have a base plan, Sling TV offers an array of add-on packs—most of which cost $5 per month—along with standalone premium channels like HBO and Cinemax. 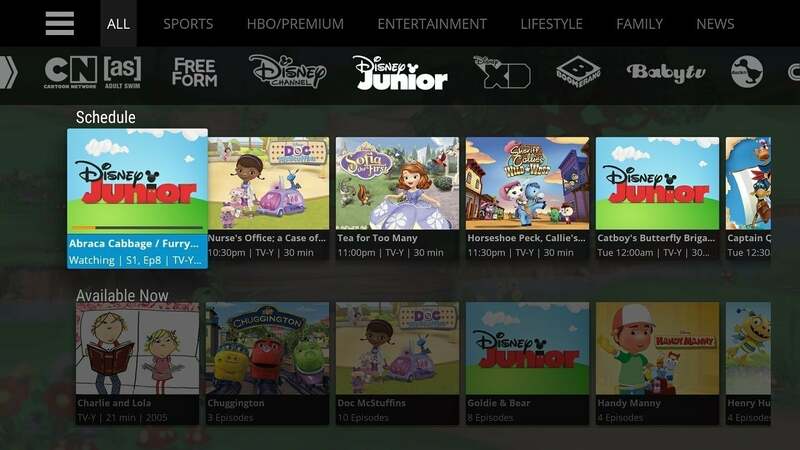 These add-ons also have plenty of overlap between the Orange and Blue versions, but some channels (such as Disney Junior) require an Orange subscription, while others (such as NFL Redzone) require a Blue subscription, so the costs can quickly escalate depending on your needs. We've compiled a complete listing of all the channels Sling offers, which you'll find in this guide. Overall, Sling’s lineup should cover most of the basics, though it does lack Discovery Communications channels and CBS-owned channels (with the exception of Showtime). And as with other streaming bundles, Fox and NBC only provide live feeds for Sling Blue subscribers in select markets. Other areas only get on-demand prime-time programming. Aside from those broadcast networks, all Sling TV channels include a live feed that mirrors the regular cable channel. Some channels also include a selection of on-demand video, and some support a “Replay” feature that lets you pause, rewind, and watch a program that’s aired over the past several days. You can also log into more than a dozen TV Everywhere apps to watch live and on-demand video. ESPN remains the only Sling channel to support 60-frames-per-second video. But to really make sure you don’t miss anything, you’ll need to fork over an extra $5 per month for cloud DVR service. This allows you to save up to 50 hours of video for viewing across any Sling device, with no scheduling restrictions. The DVR works largely as you’d expect, letting you schedule individual show recordings and entire series. While you can’t set up manual recordings based on time, you can start recording from the middle of a program, and watch partial recordings before the program is over. There is, however, one major caveat: DVR doesn’t work at all with ESPN and other Disney-owned channels. As for app support, Sling TV runs on an impressive number of devices including Amazon Fire TV, Android TV, Chromecast, Roku, Xbox One, Apple TV, iOS, Android, PC, Mac, LG WebOS 3.0 TVs, and Channel Master DVRs. The only notable omission is Sony’s PlayStation 4. 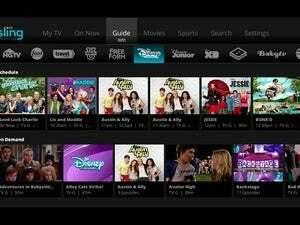 When I last reviewed Sling TV in early 2016, I had a few major complaints about the interface: The horizontal guide made channel-surfing a chore, navigating on-demand video required too many steps, and there was no reliable way to keep track of favorite shows and channels. Sling TV still needs to rethink its primary user interface. Still, Sling’s interface is a few tweaks shy of greatness. For any given program, you must sift through separate menus for DVR and on-demand show,, and when you select a live show from Sling’s On Now menu, there’s no way to see if any on-demand episodes are available. Also, the list of favorite channels in Sling’s main menu doesn’t actually tell you what’s airing on each one, forcing you to sift through the channel guide instead. Assuming Sling can streamline its menus, the next logical step would be to add support for multiple profiles. This is already available in other bundles such as Hulu with Live TV and PlayStation Vue, and will become increasingly necessary for Sling as it puts greater emphasis on personalization. Sling also struggles with the occasional reliability problem. As FierceCable reported, basketball fans were fuming in early June when an outage kept them from watching game 1 of the NBA finals. And on a recent weekday afternoon, I was unable to load ESPN’s live feed on a Roku Streaming Stick without exiting and restarting the app. Despite those issues, Sling TV is still the budget streaming bundle for those who can’t let go of cable channels. If Sling can just deliver a smoother, more reliable picture—and make a few more nips and tucks to its interface—it could become the best bundle, period.